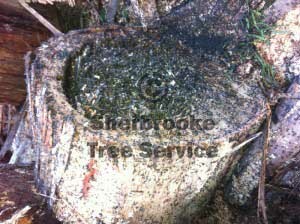 Be very wary of well meaning arboricultural reports and opinions on the health of trees. 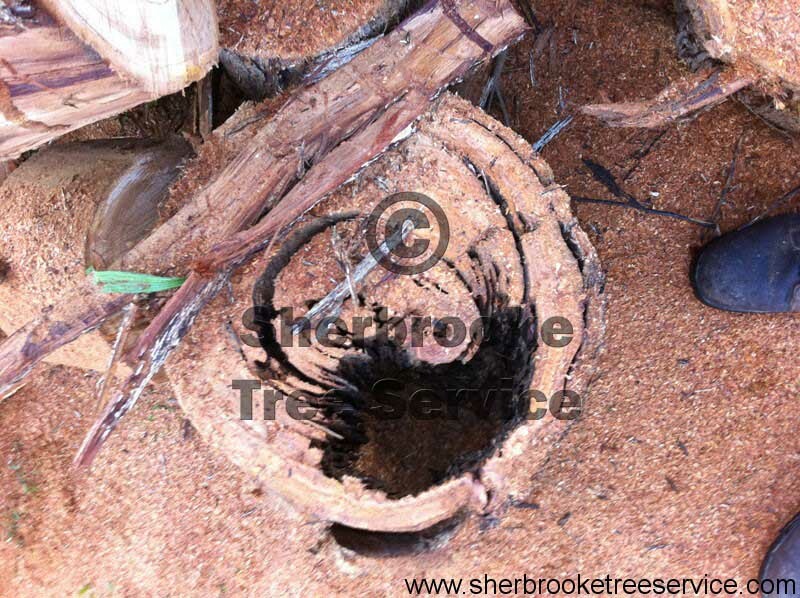 Defect inside of trees is difficult to spot and often the opinions expressed are not based on experience of tree removals and storm damage work. 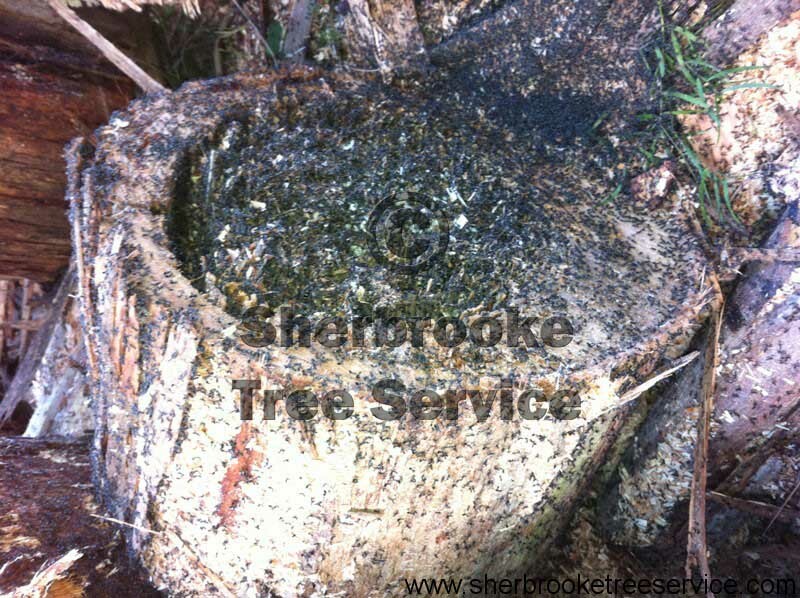 The recent spate of jobs in the Dandenong Ranges has left us with some ugly examples of tree failure. If you have concerns about a trees declining health, seek independent opinions that are not driven by a desire to maintain the tree, remove the tree or do nothing. 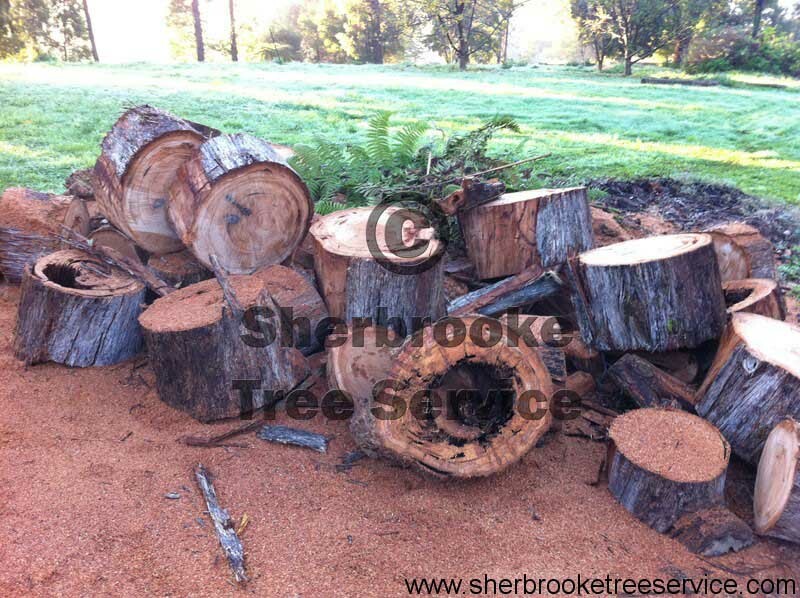 As a company the specialise if tree removal and tree care, we often decline opportunity to assess tree health. It is a conflict of interest, because in most cases work will need to be done. Carefully consider where the opinion is coming from when you seek advice on your tree. 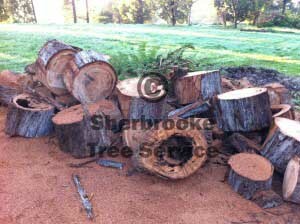 Some species of trees decay very quickly, and after 12 months of rotting the decay may become so bad the removal is dangerous and expensive. The costs of dealing with these kinds of trees in the long term are rarely considered by those promoting habitat retention. after sectioning down this mountain ash, the ants nest was obvious. from the outside it was just a lump. This tree was deemed safe, the large hollow ran for 50′ and was on the tension side of the tree. a pile of wood from the defect tree showing the extend of decay. in peppermints this decay is quite rapid and soon becomes dangerous to climb.